GCC Alumni-Pros Converse with Students – over Pizza! 4 weeks ago ago by Genesee Community College. Batavia, NY- The National Center for Education Statistics estimates 80% of college students in the United States change their majors at least once. Some fall in love with another discipline while taking electives, some experience personal life tragedies or triumphs that inspire new directions, and some just simply didn’t know enough about their major when they picked it. In alignment with its long-standing dedication to student success, Genesee Community College has established a new speaker series called “Pizza with the Pros” to help students make educated decisions about their majors and career aspirations. GCC’s Alumni Affairs office in collaboration with the Student Success Center and AEOC designed “Pizza with the Pros” to tap into GCC’s vast pool of successful alumni, identifying experts (Pros) from a variety of industries who would be willing to come to campus and spend time chatting with current students from different majors. During these sessions, the Pros share their journeys from college to career, and answer students’ questions about their field. 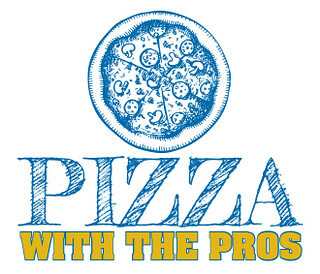 All events in the “Pizza with the Pros” series are free to GCC students. Each session will begin at 11:30 a.m. and wrap up by 1:30 p.m. in the Student Success Center on GCC’s Batavia Campus. Wednesday, March 27, 2019, explore Science and Technology/Information Technology with pros Serena Cooke ‘92, online learning specialist at GCC and Keith Ward ’13, IT administrator at Keuka College. Wednesday, April 3, 2019 explore Health and Physical Education with Beth Felix, GCC Nursing School and Krystal Forsyth, health and physical education educator at Brighton Central School. Wednesday, April 10, 2019 explore Business and Commerce/ Health Care with Missy Marsocci, entrepreneur and Dr. Lina LaMattina, director of Business Programs at GCC. Wednesday, April 17, 2019 explore the Creative Arts with Trace George ‘95 of VSP Graphic Group and GCC’s Alumni Council, and Kim Argenta, owner and artist at Art Ah La Carte. Wednesday, April 24, 2019 explore Law and Criminal Justice with Todd L. Tryon, retired assistant field office director and Immigration and Customs Enforcement (ICE), Michele M. Kraynik, RN, Esq. the director and professor of Health Administration/School of Business at Roberts Wesleyan College, Benjamin Bonarigo ‘79, Esq.,GCC Board of Trustees and Alumni Hall of Fame Inductee, and John Michalak, 2019 Alumni Hall of Fame Inductee, retired Batavia police officer, FBI sergeant and United States Army veteran.